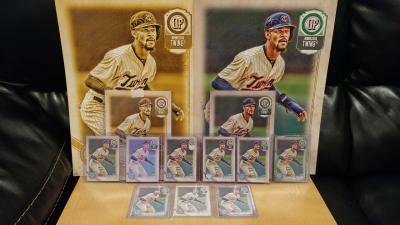 I'm in search of the very last Byron Buxton card needed to finish my Buxton Gypsy Queen set. I have all of the cards, including the Black border 1/1, and the Gold 10x14 #1/1. All I need is the RED border parallel which is numbered #/10. This has been so difficult to locate. I have had zero results on ebay. Can anyone help me track this card down? I'll trade for or buy this card from you or if you provide me with information leading to the purchase I'll send you something as thanks.